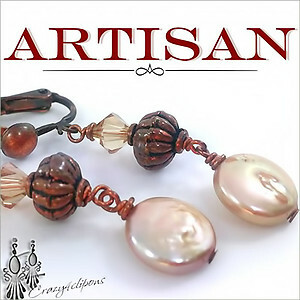 Features: This pair of earrings features copper coin pearls, Swarovski crystals and copper findings to add the perfect pop of color to any bohemian outfit. 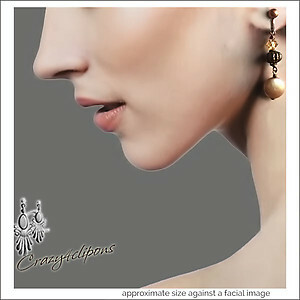 Designed and made in our store and available for pierced and non-pierced ears. Specs: This pair of earrings features copper coin pearls, Swarovski crystals and copper findings to add the perfect pop of color to any bohemian outfit. 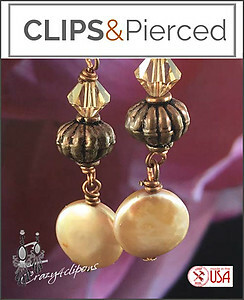 Designed and made in our store and available for pierced and non-pierced ears.